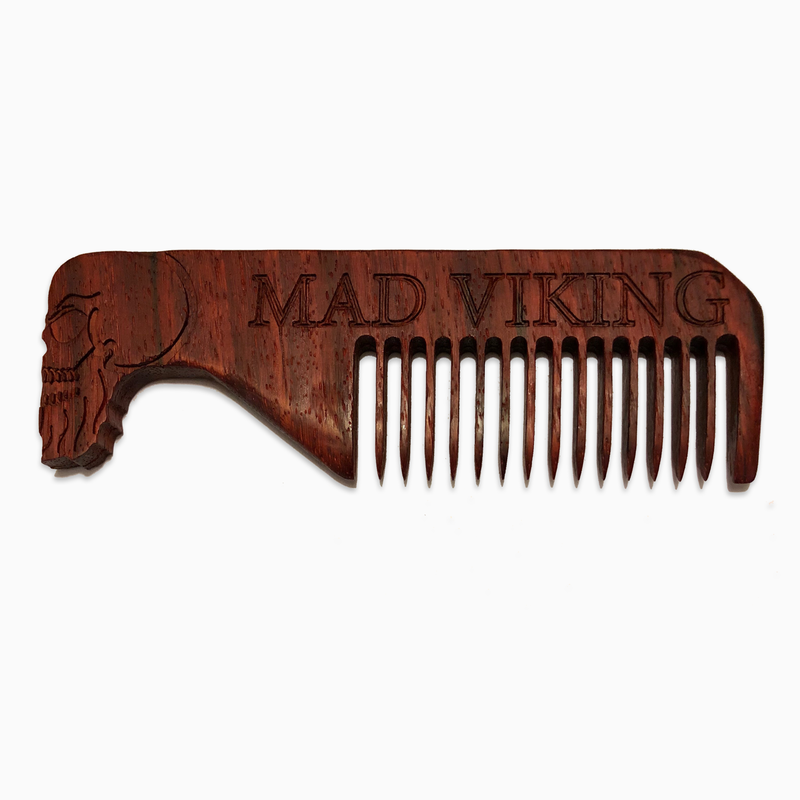 Skully Handle 6" Wood Beard Comb - Mad Viking Beard Co.
CNC cut and crafted for uniformity. Comb measures 3/8″ thick x 2″ Tall x 6″ Long, and has the Skully logo carved into the handle. Comb has a beautiful finish but the wood is not coated allowing it to absorb the natural oils and any beard oils left in the beard. Over time the comb will darken, and also over time the more you use it the more it helps moisturize your beard and hair! The Skully comb works as good as it looks! Check out more great wooden combs here.